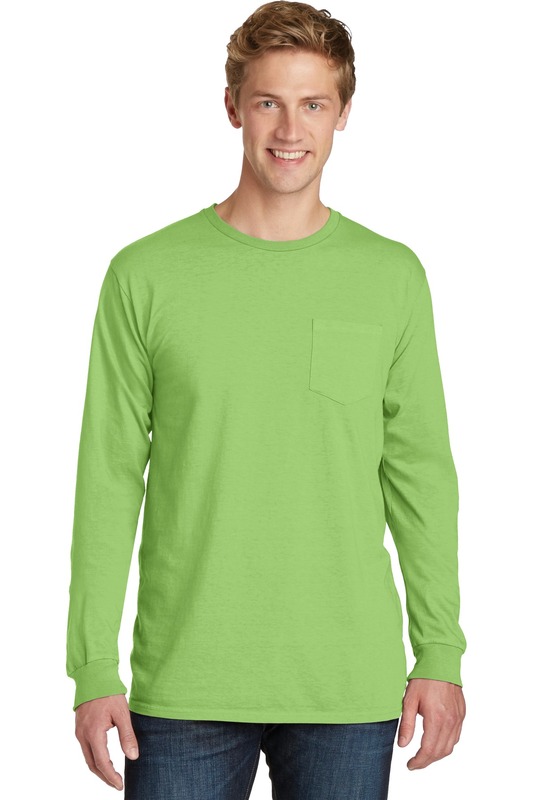 This pocket tee has a unique, lived-in look and feel. | 5.5-ounce, 100% pigment-dyed ring spun cotton The pigment-dying process infuses each garment with unique character. Please allow for slight color variation in production and washing. Special consideration must also be taken when printing white ink on pigment-dyed cotton.